Welche youtube-Videos schaut ihr gerade? Replied to the thread Spiel [Spiel 85 | Spiel] Let's Go April!. 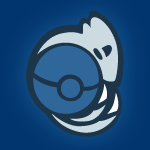 Liked Tonja’s post in the thread Welches Starter-Pokémon?.